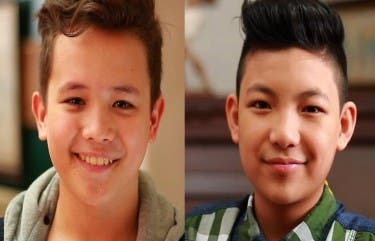 Even though Coach Sarah Geronimo’s bets Lyca Gairanod and Darren Espanto emerged as the top two finalists in the recently-concluded "The Voice Kids," second runner-up Juan Karlos “JK” Labajo says he does not regret picking Bamboo Mañalac as his mentor after falling short of winning. Sarah and Bamboo both turned around for JK during his blind audition but the young artist ultimately chose to join Kamp Kawayan. “I like Coach Sarah, but our music genres don’t match. She’s into ballads and pop. I chose Coach Bamboo because first of all, he has a unique voice,” JK explains in “Tapatan Ni Tunying” airing this Thursday (August 14). JK shares in the episode that he can also relate to the life story of grand champion Lyca, who helped her mother scavenge junk to sell. “Our life story is somehow similar because we used to collect junk before. Many people think that I come from a rich family because of the way I look. But what they don’t know is that we’ve racked up huge debts in Cebu and we don’t even own a house,” he says. “How I wish there were visiting hours in heaven,” he says. Meanwhile, first runner-up Darren Espanto reveals how his parents had to borrow money to support his stint in the competition. Darren, who was born and raised in Alberta, Canada, had to travel to and from the Philippines at one point in the contest. Darren’s father Lyndon Espanto says a round-trip ticket alone cost them CAD 1,800 or at least P 70,000 each. “My mommy and daddy are buried in debt. They have sacrificed a lot for me. But if I want to pursue something, they are always there to support me,” Darren shares. Now that Darren will continue his singing career in the Philippines, he readies himself when he eventually settles down in Manila with his relatives and away from his parents and sister. Don’t miss “Tapatan ni Tunying” this Thursday (August 14) at 4PM on ABS-CBN’s Kapamilya Gold. 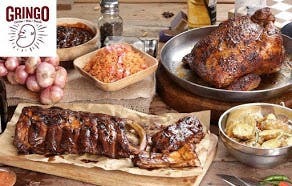 For updates, follow @TNTunying on Twitter and Instagram, or like its Facebook pagewww.facebook.com/TNTunying. All four – Darren, lyca, JK and Darlene are stars in heaven that are meant to shine for us — to give us joy and happiness with their God-given talents — they teach us a wonderful lesson of pure love and innocence untainted by envy as the boys take care of their little “sisters” whenever they have shows – let us help them preserve that gift in their beautiful hearts — support all of them and send them our love. Natural, simple at may mababang-loob ni Darren bukod sa napakahusay sa pagkanta..hoping lang na pamarisan din sya ni lyca at ng iba pa mga bata..
DARREN, you really rock my world. Galing na galing talaga ako sa iyo bata ka. How I wish my sons are talented like you. Pero mababait naman sila at magalang just like you. Kaya proud ako sa mga anak ko at sa iyo of course! for a 13 year old…darren already proven a lot..he really worked hard and make sacrifices for him to be able to reach this moment..such a talented kid with a brave and good heart..we are always here darren,,we believed in you..despite not winning the TVK PH..YOU ALREADY WIN OUR HEARTS BIGTIME!!! !so keep you head held high coz the DARRENatics family were always by your side…we love you so much!!! You’ll always have our love and support Darren! Kmi ang magsisilbing PAMILYA mo d2 sa pinas ndi k nmin pababayaan MAHAL na MAHAL k nmin DARREN!!! e pilantik ng daliri ni JK di mo ba napansin?? 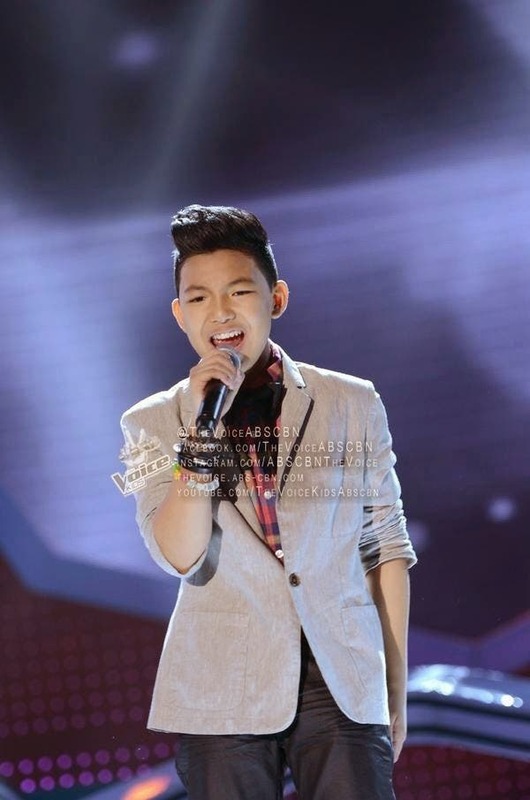 just keep on trying until you reach your dream – Darren on TNT. your dream is now a reality. super sikat ka na at maraming nagmamahal at sumusuporta sa iyo. Good luck and God bless ! Daming comments mostly good aboutDarren but whatever happens no one can deny that he’s the most outstanding performer in the voice kids…Solid ang mga Darrenatics kahit i bully nyo pa kmi…We will just continue to support our oneand only idol..
maraming fans kasi si Darren na mahihirap din katulad ni Lyca ang hindi nakaboto hahaha!!! All 4kids of the voice deserves where they are now. But for me darren has proven to be the most consistent,versatile and professional among the 4. We are defijitely lookingforward to his upcoming projects,shows,endorsements.. So goodluck to you darren,dont worry your are in good hands if you atre being handled by star cinema. MAS MARAMI FANS NI DARREN, EXAMPLE. TRENDING SYA LAGI SA TWITTER WORLDWIDE, SA MGA GUESTINGS NYA SYA ANG MAY PINAKAMARAMING FANS AT TALAGA NAMANG PINAGKAKAGULUHAN, MGA FANPAGE NYA SA FB,TWITTER IG AT GROUPS TALAGA NAMAN UMAAPAW ANG LIKED. SA ONLINE POLL NG ABSCBN SYA ANG PANALO AT NGAYON SA PINOY MAGAZINE SURVEY MAS MARAMI ANG BUMOTO SA KANYA…AMININ NATIN NA LIKAS SA ATIN ANG MAAWAIN.. DAHIL NAKUHA NI LYCA ANG PUSO NG MASANG PILIPINO DAHIL ITO AY MAHIRAP AT KAHIT PAPAANO MAGALING DIN NAMAN YUNG BATA KAYA LANG MAY MAS HIGIT NA MAHUSAY SA KANYA KUNDI SI DARREN…PANSININ NYO KARAMIHAN NG MGA NAG CHACHAMPION SA MGA REALITY AT SINGING SHOWS AY MAHIRAP…OK DIN NAMAN SI LYCA BATA PA SYA MARAMI PA YAN MATUTUNAN.. SI DARREN NAGSIKAP PARA MAGING MAHUSAY NA SINGER…GOD BLESS SA ATIN LAHAT.. The moment na tinawag si lyca,, di ako makatayo sa kinauupuan ko, inaasar ako ng mga pinsan at kapatid ko kc talo daw si darren, pero quiet lang ako. pero narinig ko ulit sila iba na topic, nagtataka sila bakit nanalo si lyca…kc alam nila kahit si lyca ang gusto nila si DARREN ang pinaka deserving at Nagpakita ng PERFORMACE LEVEL na umaapaw… pero sad pa din ako that time.. until mag 1am di pa din ako mkatulog ..tingin ako ng tingin sa twitter account ko,, trending pa din sya..sa fb sya pa din ang topic.. nkatulog ako at nagising ng 3am at malungkot pa din.. Buong July 28,, sad pa din ako sobran dismaya.. for the second time natalo sya..
Oo nga mrami p lang fans si Darren,, ang tanong bkt natalo?? ?,, hahaha.. Anyway, lahat namn silang apat ay magagaling magkakaiba lang ang forte nila..Good luck sa inyo mga kids! puro n lang darren ang mga comments dito, this only proves that many of us here in the philippines and worldwide mahal talaga at todo suporta kay Darren. I’m a working mom but I always find time to surf the internet for any updates about Darren. Compared to other 3 kids, Darren has many commitments and pinakasikat at mabibingi ka talaga sa tilian ng mga fans niya tuwing mag guest siya sa show. naalala ko tuloy ang naranasan ni daniel p. Go and soar high Darren !!! lyca knows how to sing no doubt, but almost all known singers are for darren, why? because they know what a good singer is. i quote bamboo “talent gets my vote, not the life story of the contestant”. “PHENOMENAL” by leah. “TOTAL PERFORMER” by sarah. ONLY DARREN among all contestants gets a STANDING OVATION from the coaches.